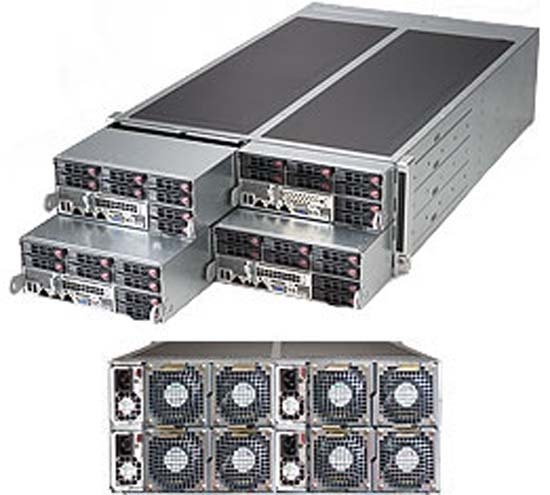 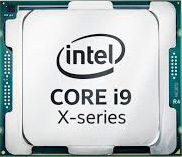 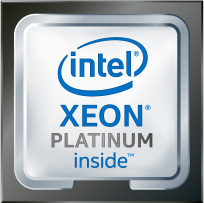 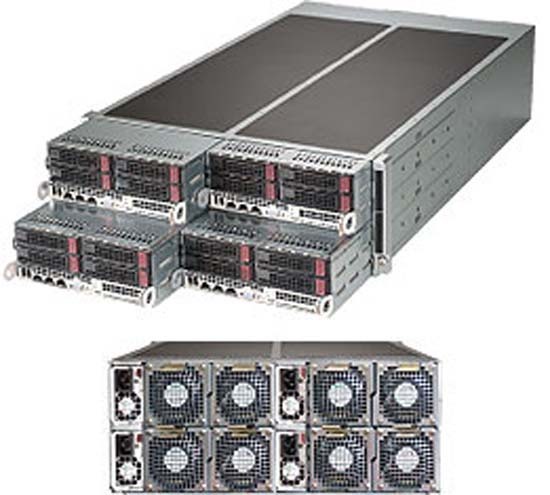 Building upon Supermicro's successful 1U Twin technology, the innovative 2U Twin2 system architecture achieves breakthrough x86 server performance-per-watt (375 GFLOPS/kW, up to 25% net gain over other top tiers' 1U servers) to further satisfy the ever-increasing efficiency, density and low-TCO demands of today's high performance computing (HPC) clusters and data centers. 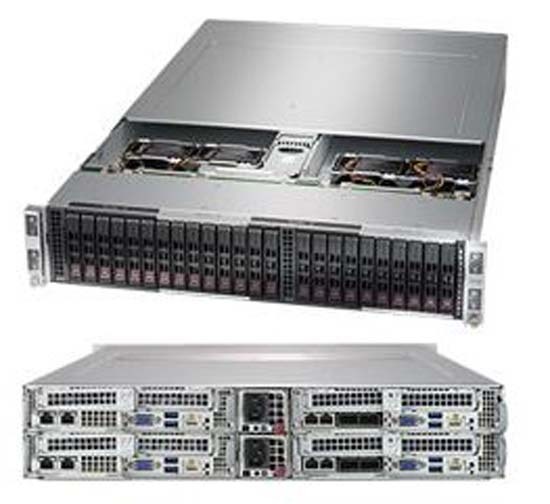 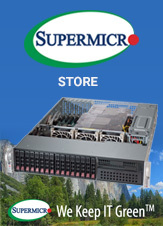 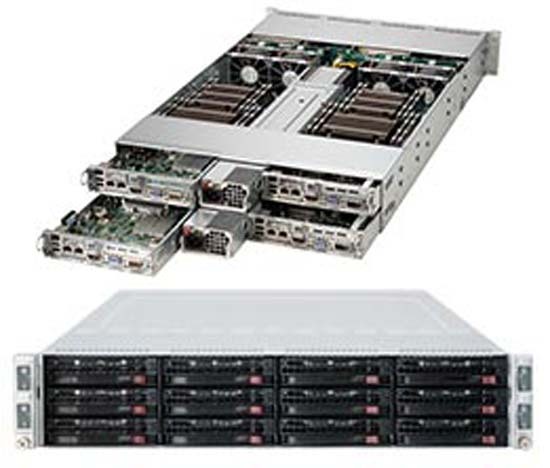 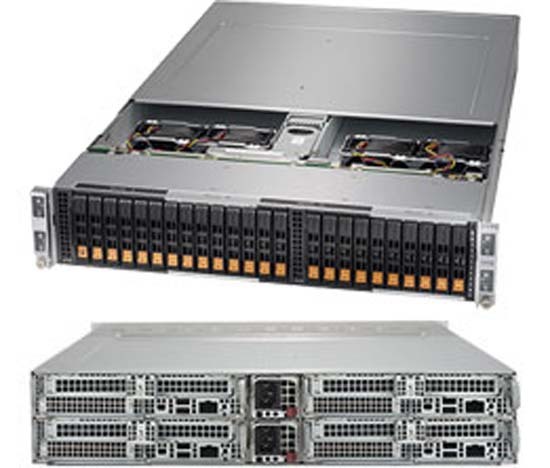 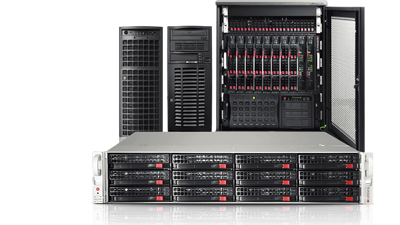 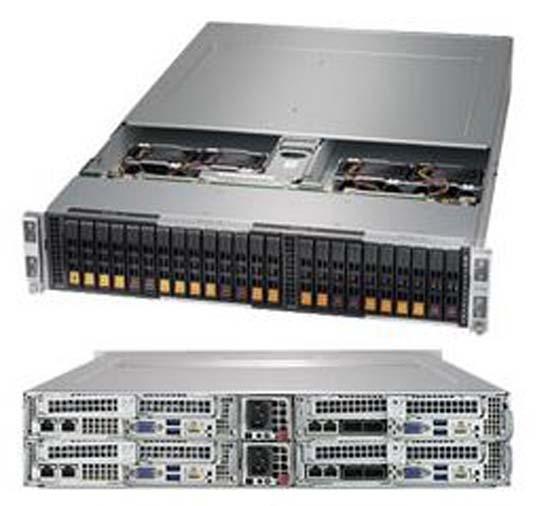 Supermicro 2U Twin2 SuperServers are compatible with existing and upcoming Supermicro twin boards, and they feature not only hot-swappable hard drives and power supplies, but also the computing nodes to facilitate easy installation and maintenance. 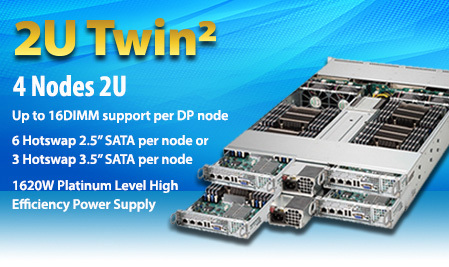 For high availability, 2U Twin2 servers also provide optional redundant power and three 3.5" hard drives per node for RAID 5 data protection.